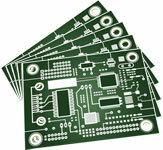 #1 for High Quality PCB Fabrication Services. Trusted by thousands of PCB assembly, design & engineering companies. 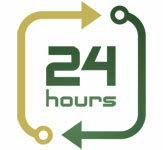 Quick turn, fast, and rapid PCBs. Perfect for testing or one-offs, utilize our entry-level prototype PCB services with up to 500 boards completed in a few days. With our extensive prototype PCB fabrication capabilities, we are confident that we will exceed your company's expectations for all of your simple to complex PCB prototype requirements. We provide production quantity PCBs at competitive go-to-market pricing with no NRE minimums or contracts. We have the capabilities to manufacture your production printed circuit boards in-house at our Phoenix, AZ USA facility or in one of our offshore facilities. As a leading PCB manufacturer in the USA, we build bare boards ranging from simple double-sided PCBs to class 3 highly complex, mission critical, multilayer aerospace and military (ITAR) PCBs. How to get a PCB quote Online. Fill out our Online PCB quote form with your PCB specifications or email them to us directly. (Please attach zipped Gerber and Drill files with read-me of PCB fabrication notes). 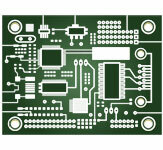 We look forward to earning your production and quick turn prototype PCB fabrication business. I have been using Custom Circuit Boards as a PCB supplier for about a year now and have referred them to all of my colleagues. They have fabricated circuit boards that are intended for frequencies from 1 GHz to 6 GHz handling RF powers of 10 Watts to 1000 Watts and their quality is excellent. The customer service, response times, and services offered are excellent and allow us to turn a new design in as little as 3 days which enables us to respond to the quickly changing demands of our customers! I was impressed with the quality of the boards and the professionalism of Custom Circuit Board's manufacturing department...You have exceeded your competitors in the quality of the product and the way in which the service was delivered. I just wanted to drop you a line and say thanks for your service Custom Circuit Boards! Everything turned out great, the PCBs worked fine on the first prototype, and your service was just what we had hoped for. Quality work in an excellent time frame. I got into lab today and the boards were there. I just wanted to say thank you for all of your help in getting these boards done. 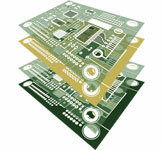 Example printed circuit boards manufactured by us. 6 layer PCB with high temp FR-4, .062 thick, green mask, white legend, and ENIG finish. 2 layer board built on Rogers 4360 material, .031 thick, blue mask, and omikron finish. 6 layer PCB on Isola 370HR material, .062 thick, red mask, white legend, and hard gold finish. 2 layer board on FR-4 material, .062 thick, green mask, white legend, and HAL finish. 4 layer PCB on Rogers 3010 material, .025 thick, green mask, white legend, and ENIG finish. 2 layer board on Isola 370HR material, .062 thick, white mask, black legend, and HAL finish. We also have the capabilities to manufacture bare boards with other PCB materials like Grace FR406, ISOLA FR408, Arlon, Nelco, Metal Core, and more. Please contact us for more information.